Many people find themselves with broken or leaking heads, no pressure, dry spots, a controller that keeps giving you problems, or perhaps a head that needs to be adjusted or added. Call Milliken’s Irrigation to come to your water rescue today! $59.95 System Check for 10 Zones or Less! As part of your system check we turn on your system, check for any potential leaks, test the coverage of all your sprinkler heads, ensure your controller is set properly, and get you ready to start watering for our dry season. 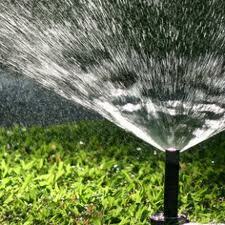 Contact us to schedule your spring Sprinkler service check!